Start of construction in March 2016 - completion in March 2018. Complex Danube is a newly-developed ensemble of residential buildings, located in one of the most quiet and peaceful areas in the city of Plovdiv, preferred for both living and investment. The complex is located near the center of the city and very close to Plovdiv International Fair. In the area are to be found many schools, kindergartens, medical centers, shops and bus stops. The complex consists of two sections of 8 ground floors, featuring 51 different apartments of two types - with one or two bedrooms, several parking spaces and shops. All apartments are to be completed according to the Bulgarian State Standards, as follows: floor - cement, walls and ceilings - stucco, armored front door, internal MDF doors, UPVC window joinery, ventilation, electrical and plumbing installations. The rough construction is to be completed with bricks Wienerberger with high thermal insulation features. The common areas will feature latex painted walls and ceilings; the staircases and corridors will be done with granite tiles; in the building will be set ventilation, electrical and plumbing systems; and will be mounted UPVC window joinery and entrance door. Full landscaping will be done in accordance to an approved project; railings and elevators will be set. The facade of the building will be lined with exterior insulation ventilated system from aluminum composite panels "Technobond", facade insulation system and acrylic paint. Against an additional fee the apartments will be set in "turnkey" condition, according to the preferences of their owners. Buyers could also be offered furniture packages of a different standard according to their budget. The complex is planned to be built in the period March 2016 - March 2018. 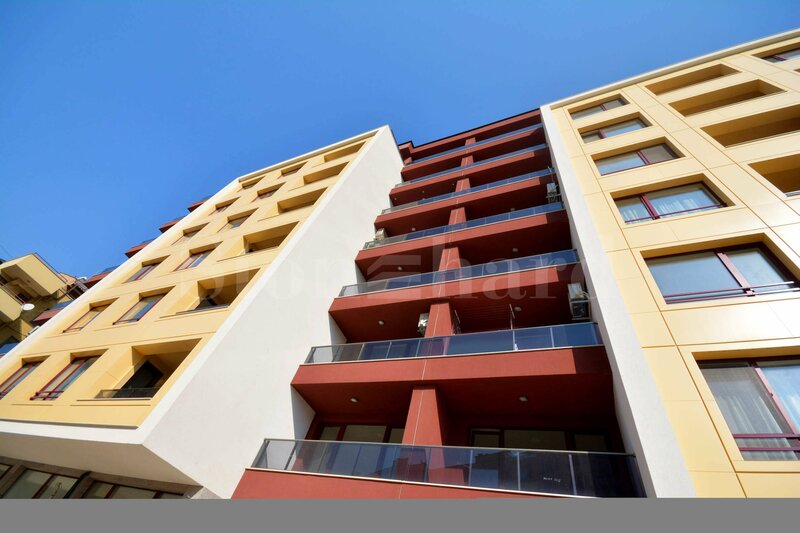 All apartments are to be completed according to the Bulgarian State Standards, as follows: floor - cement, walls and ceilings - stucco, armored front door, internal MDF doors, UPVC window joinery, ventilation, electrical and plumbing installations. Complex Danube is located in one of the most quiet and peaceful areas in the city of Plovdiv, preferred for both living and investment. The complex is located near the center of the city and very close to Plovdiv International Fair. In the area are to be found many schools, kindergartens, medical centers, shops and bus stops. The flexible payment plan according to the stages of construction is always an advantage in buying a property. NB! When buying property in the period from 01.11.2016 until 31.12.2016 the price will be reduced by 3%. Use this Christmas Discount! The company investor is present on the market since 1958 and specializes in high and low level construction, installation and design of the fixture, hardware, carpentry, tinsmith and concrete products, panels. The company is also trading with building materials. • Reconstruction of administrative building TDD inPlovdiv. • Repair of School Building of "TXT - Prof. Dr. Zlatarov" in Plovdiv. • Hotel "Todorini Kuli" located next to the ski lift in Bansko resort. • Hotel "Arches", located on 9000 m, set 5 km from the Black Sea coast near Sunny Beach. • Reconstruction of the medical complex in the town of Banya. 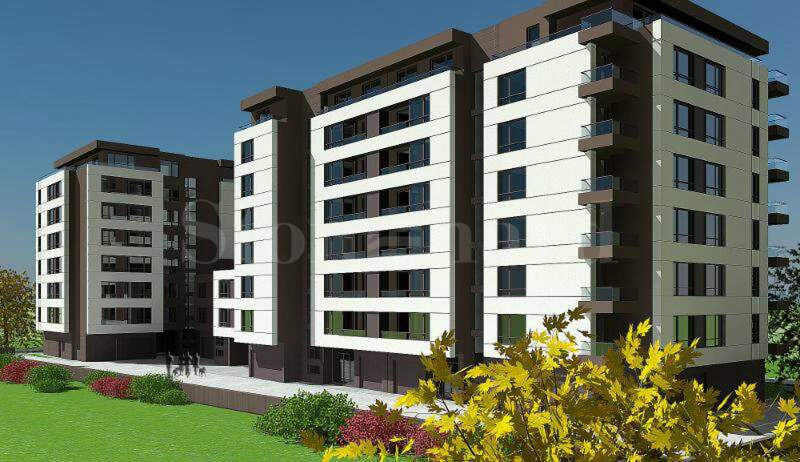 • Residential building with shops, garages and underground garages in Plovdiv, bul. "Maritsa"
Since its establishment the company is a member of the Chamber of Builders in Bulgaria.